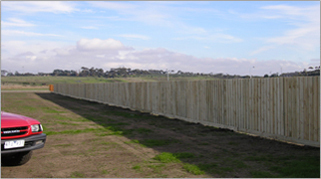 If it’s boundary or backyard fencing you are after then paling fencing is the most popular and cost effective option. Made with treated pine, it is available in 1.65, 1.800 and 1.95 metre heights and is generally overlapped for extra strength and security. Design options include exposed, capped and also diagonal options.